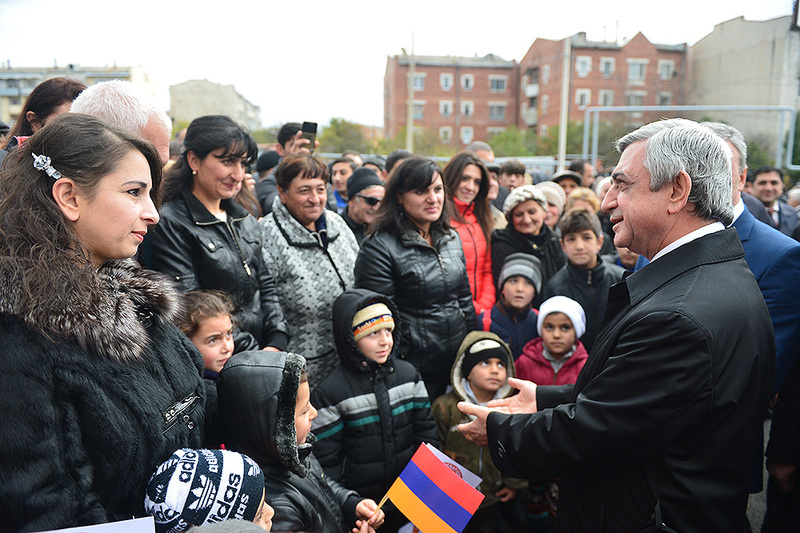 President Serzh Sargsyan today left on a working visit to Lori marz. 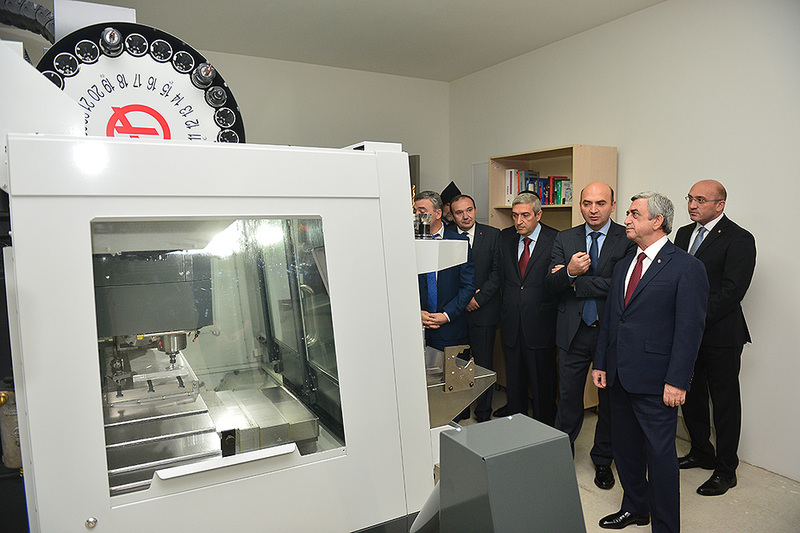 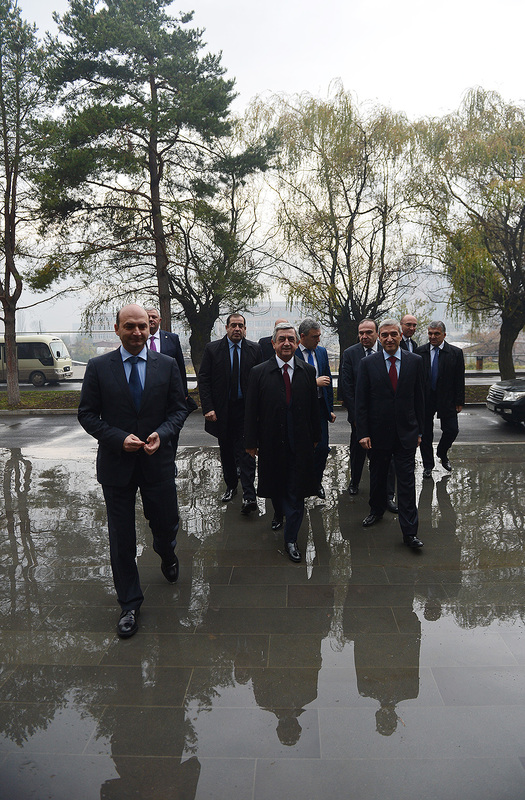 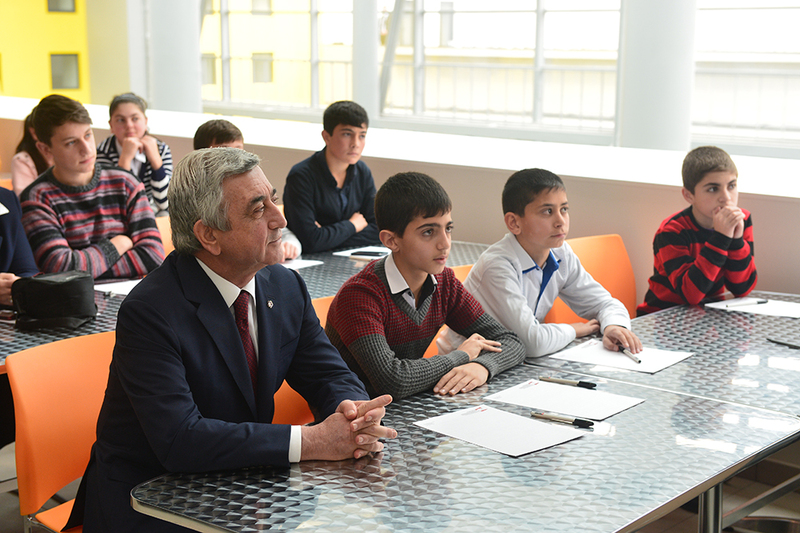 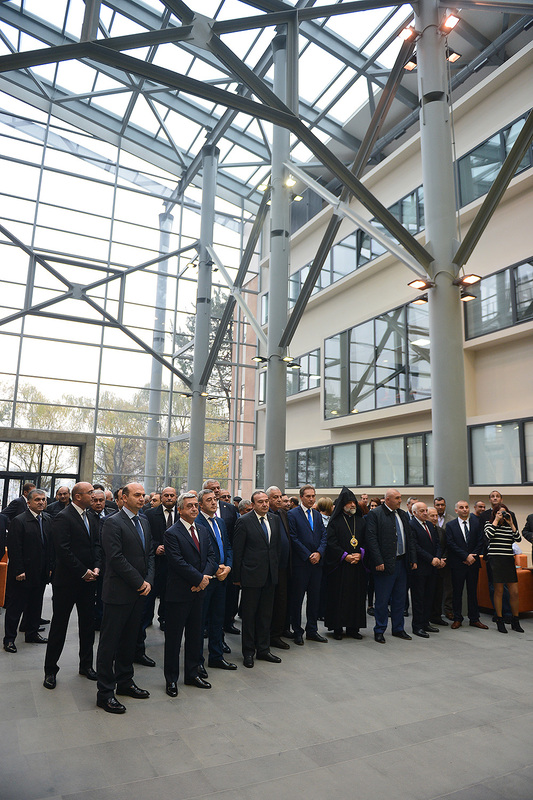 The President of Armenia attended the opening ceremony of the Vanadzor Technological Center. 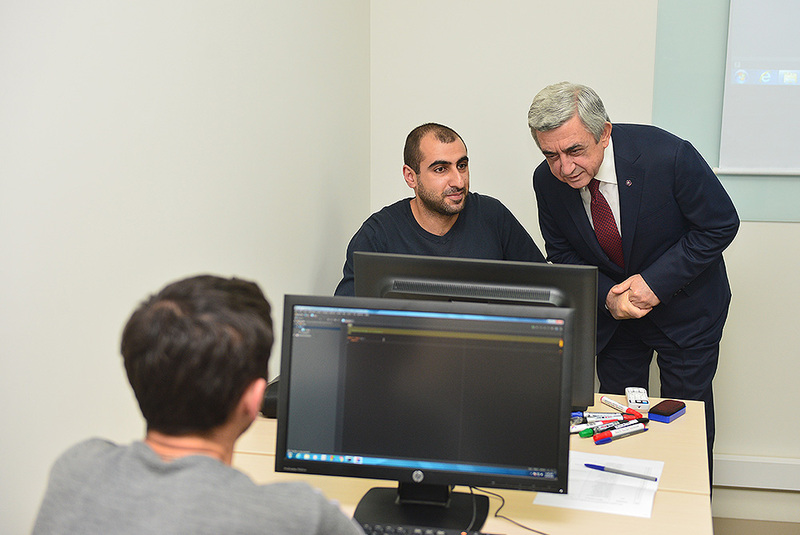 The Center was created in accordance with the program of the Government of Armenia through the Enterprise Incubator foundation which became its chief operator. 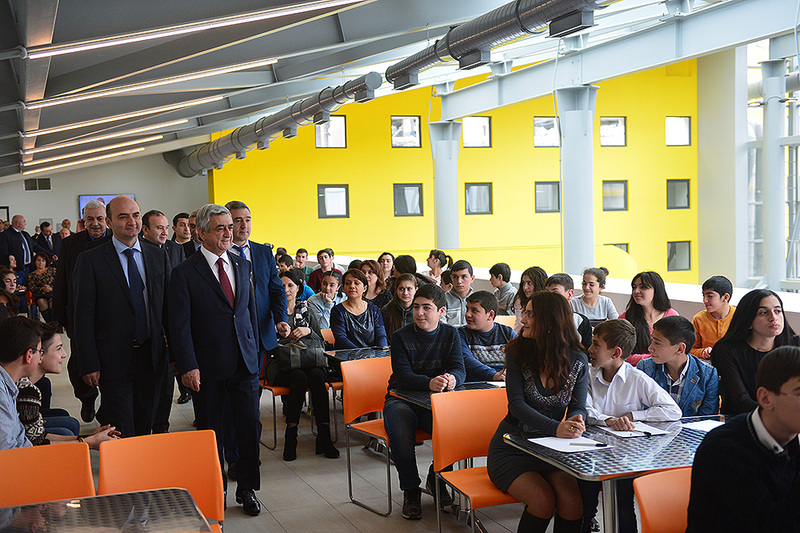 The program is aimed at creating in Vanadzor of a technological center of modern knowledge and innovative infrastructure, attraction of foreign investments, training and re-training of high quality technology professionals as well as at providing assistance to the start-ups and individual entrepreneurs working in the marz. 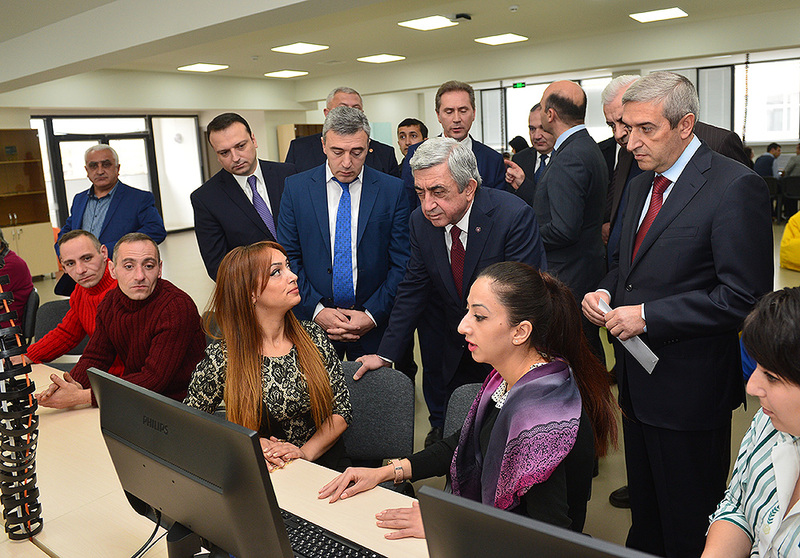 The President of Armenia toured the Center, familiarized with the conditions and created opportunities, programs and prospects of development. 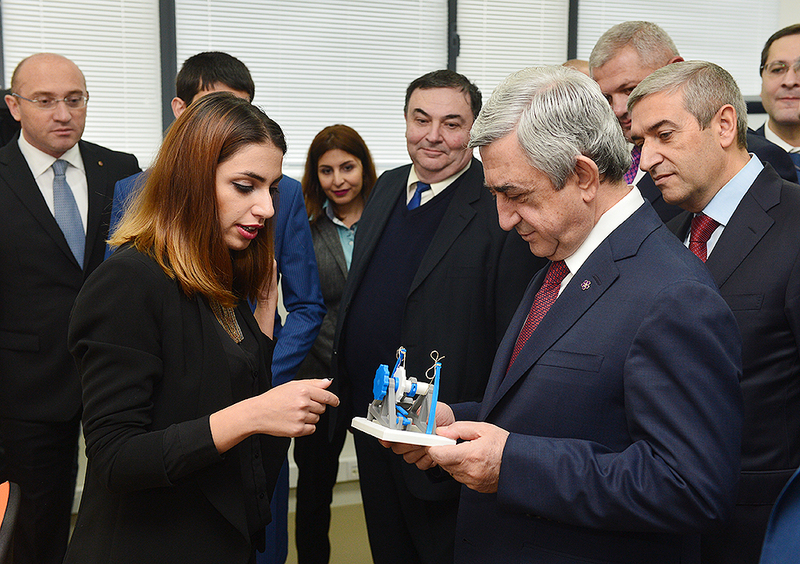 Responsible officials and representatives of the Technological Center demonstrated to Serzh Sargsyan educational laboratories for information technologies and engineering, which already operate at the Center, a common working area created for the beginners teams, a laboratory for metal processing, which is equipped with the ultra-modern facilities, which according to the officials will provide exceptional opportunities in the area of engineering (including precise engineering, machinery building, and clean technologies), as well as opportunities for the sample making, testing and creation of new products and development of new solutions. 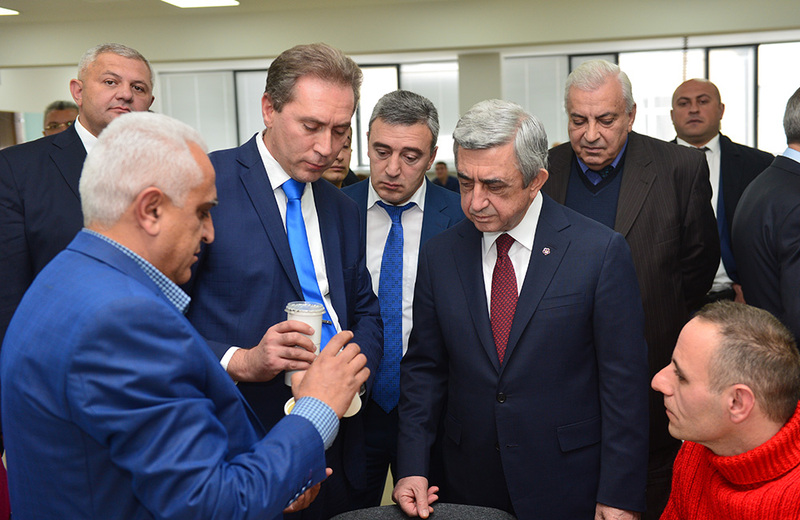 This will enhance the development of innovations in Armenia, providing the inventors, technological companies and scientists with the opportunity to expedite the entry of a new idea or a new product into market. 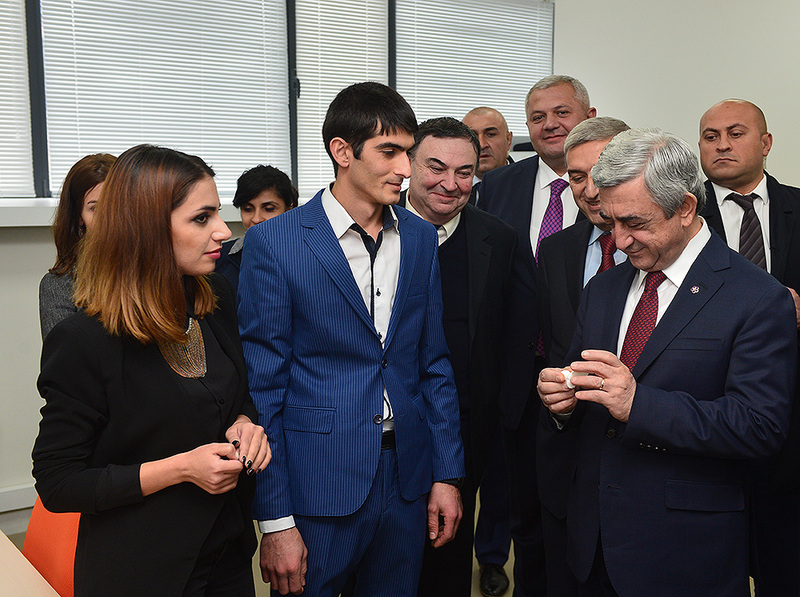 The President was also informed that since its establishment, the Center has provided business assistance and consulting services to at least 150 teams, companies, inventors, and individual entrepreneurs. 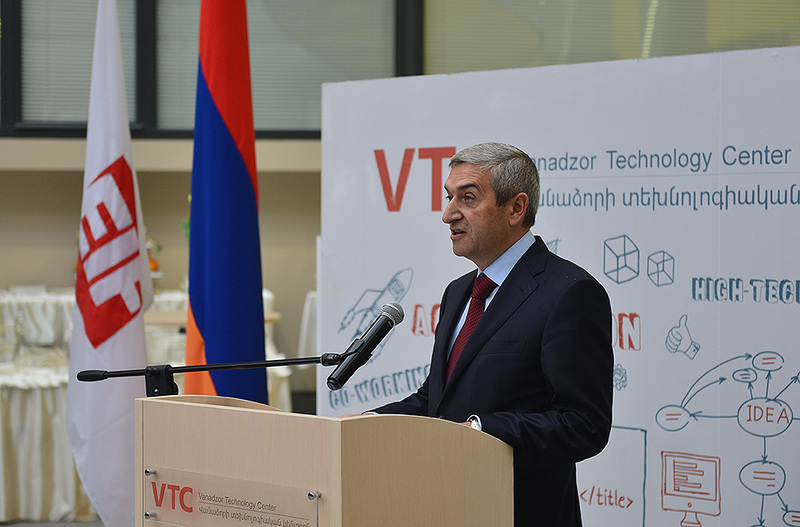 The Vanadzor Technological Center is expected to create directly at least 150 new jobs and assist indirectly in creating another 1000 jobs, with the average salary of nearly 300,000 AMD per month. 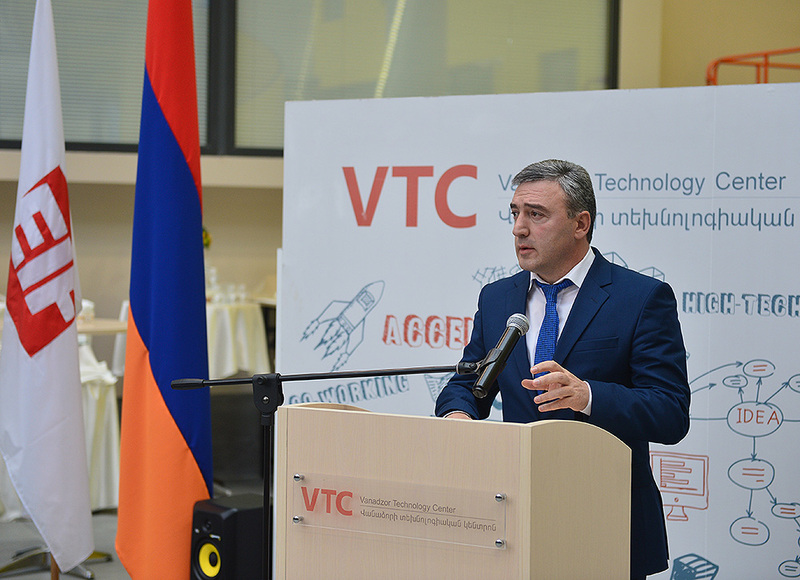 The Center will train and re-train at least 500 specialists each year, and at least 50 teams and organizations will receive assistance annually. 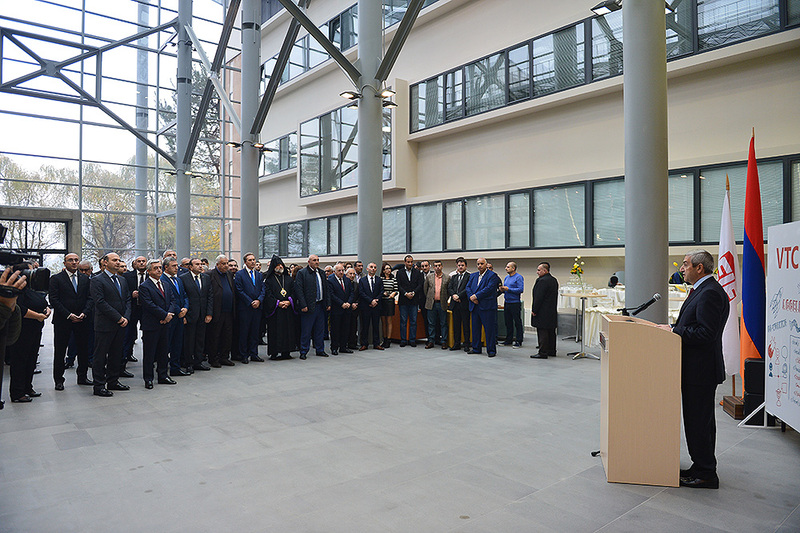 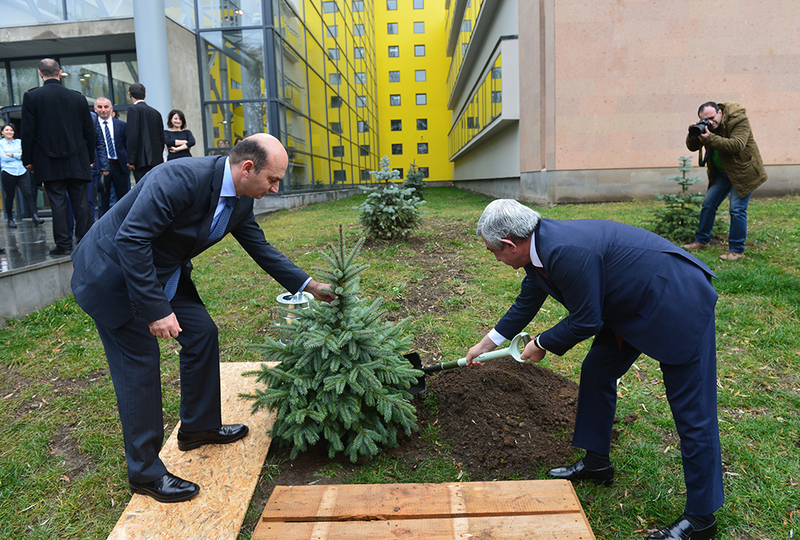 In commemoration of the opening of the Technological Center, President Serzh Sargsyan planted a fir tree in the backyard of the Center. 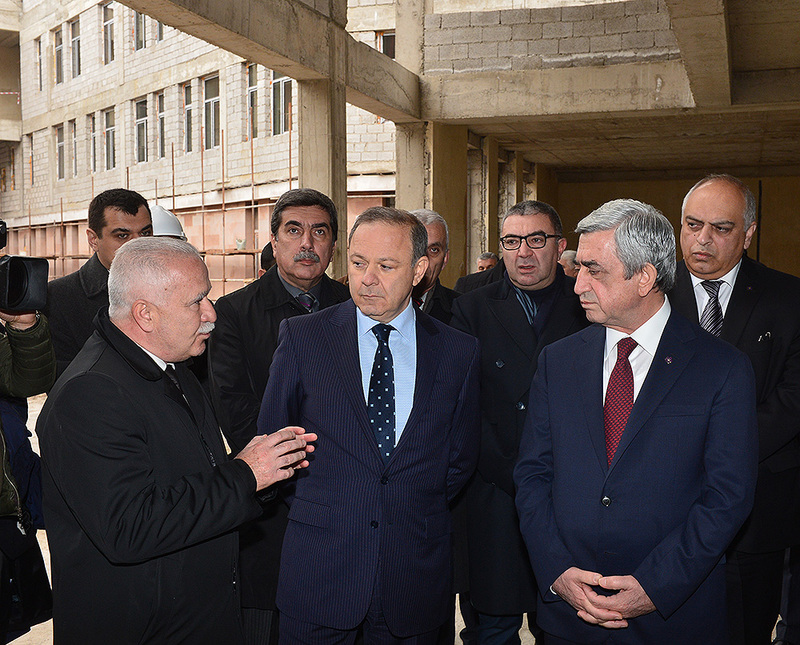 In the framework of his working visit to Lori marz, President Sargsyan visited today the construction site of the Vanadzor medical center. 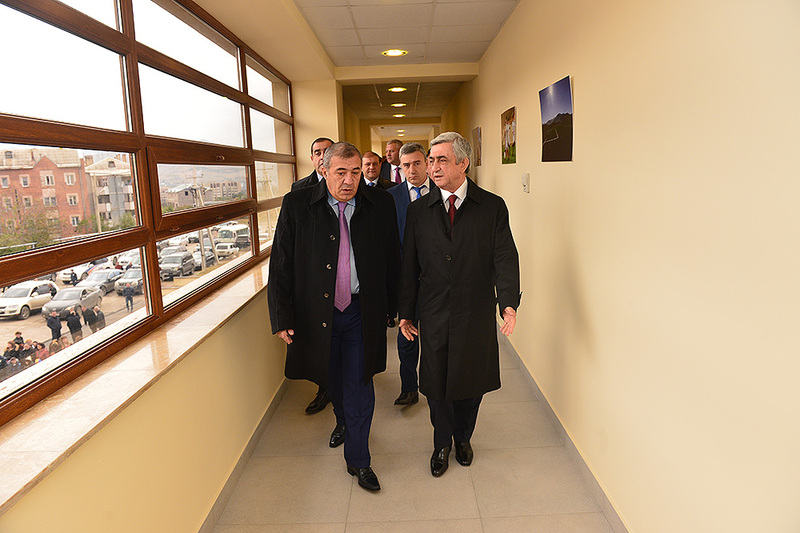 The new medical complex comprises a maternity hospital located on 3,270 square meters and main units of the complex with the total territory of nearly 11, 8802 meters. 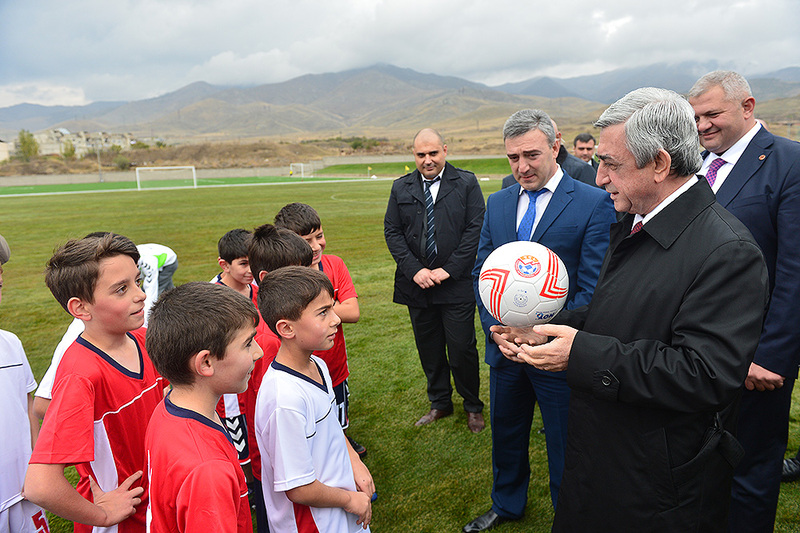 Back in 2013, the President of Armenia attended the groundbreaking ceremony of this Center. 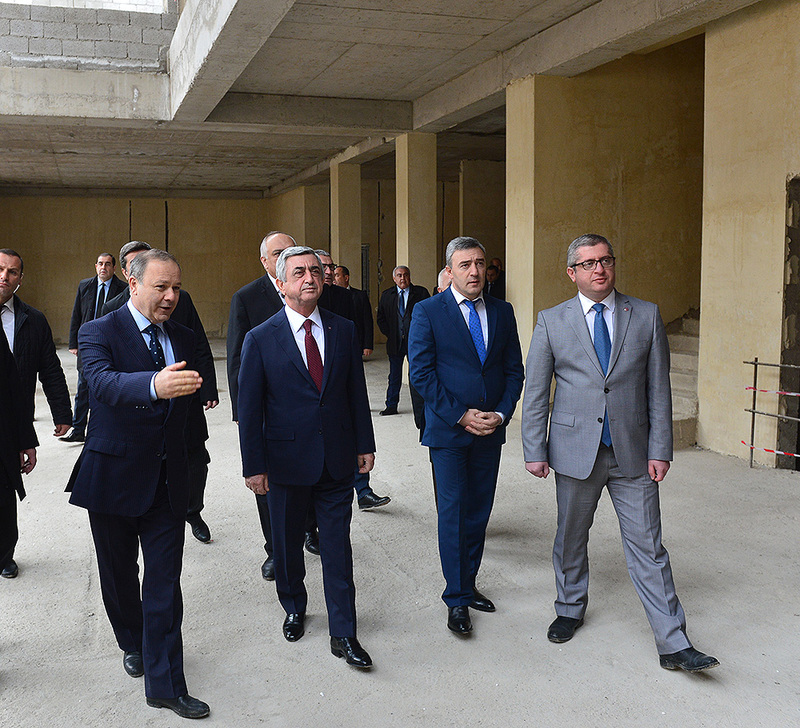 Serzh Sargsyan accompanied by the healthcare officials and administration of the project toured the units of the complex and familiarized with the works carried out in the Center in accordance with the optimization plan for the healthcare system in the marzes of Armenia. 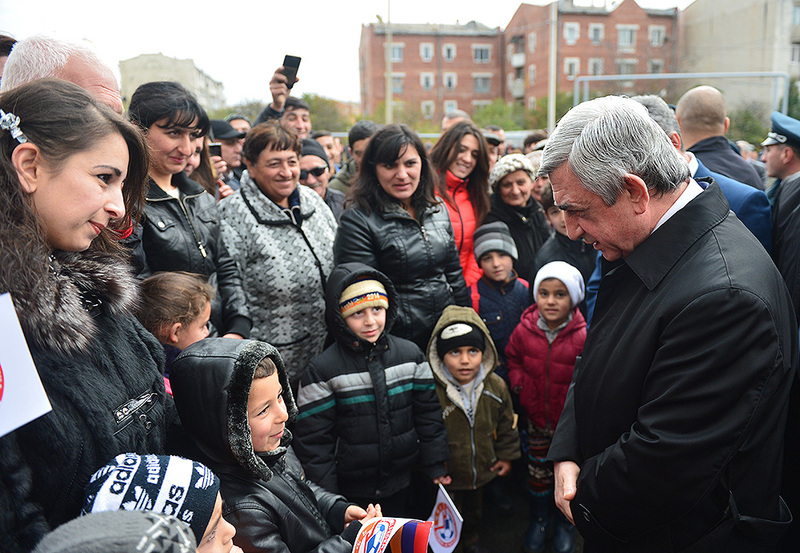 The President was reported that as a result of the modernization program, this time of the Vanadzor medical center, the quality of the medical services and their affordability are expected to improve considerably. 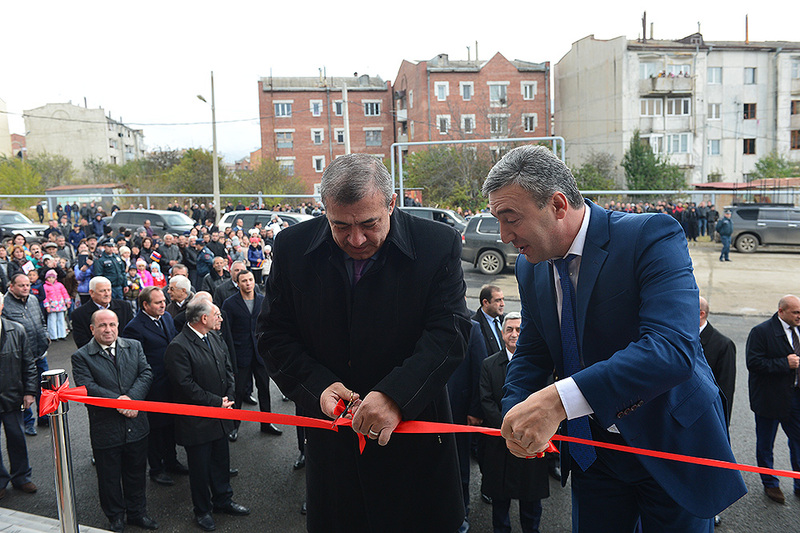 The population of the marz and adjacent territories will be able to get second and third level medical services on the spot, in proper conditions and next to their residential areas and will not be compelled to travel to the capital. 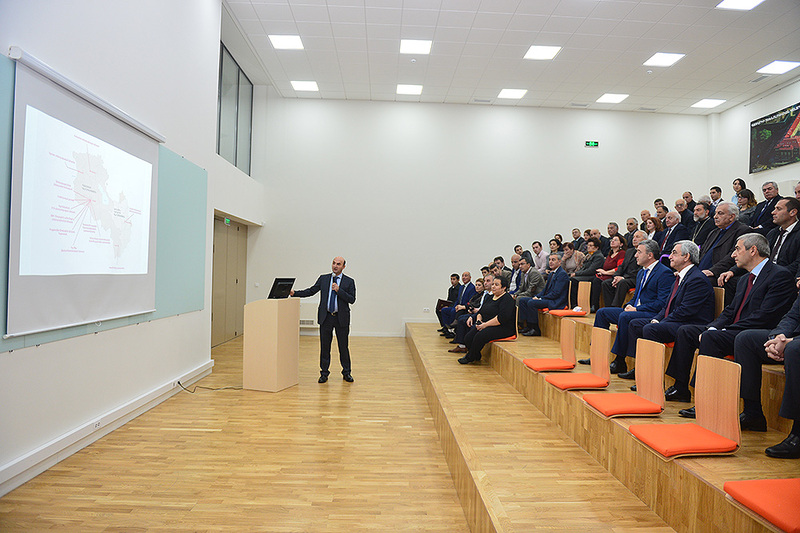 The officials from the marz administration noted that when construction is completed, it will be necessary to fill the staff with narrow medical specialists which are needed in the marz. 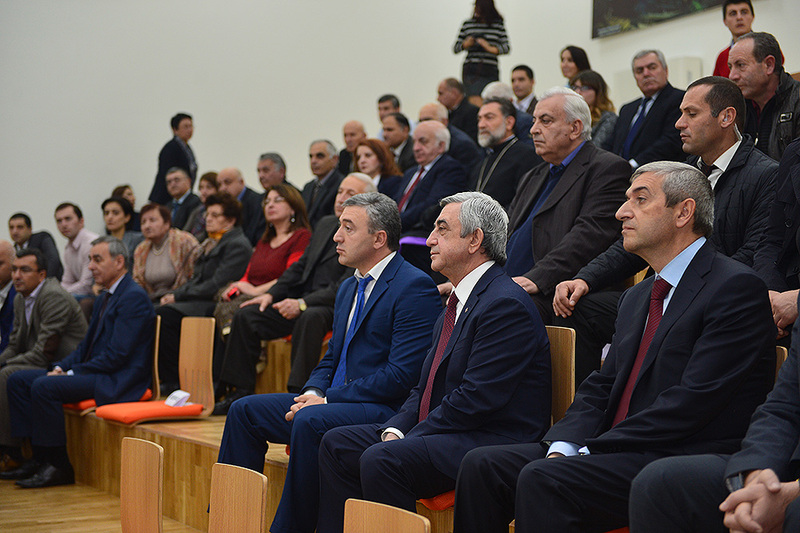 The President tasked the officials from the healthcare system to examine the issue and to find a workable solution for this and other modernized medical centers in the regions of Armenia which have the similar problem. 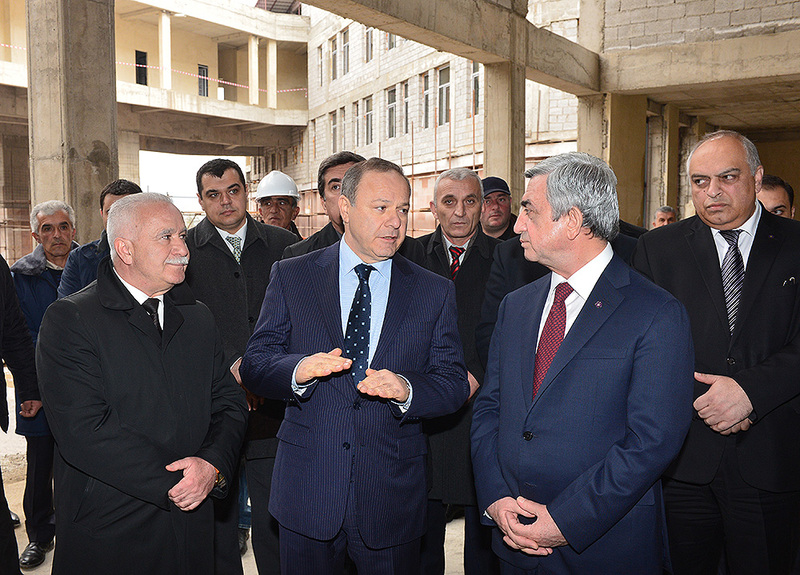 In the framework of the modernization program, the Vanadzor Medical Center Ltd. is expected to get almost 6.6 billon AMD of investments; major investments for the construction of the maternity hospital, as well as for the purchase of equipment and furniture are made by the Tashir charity fund. 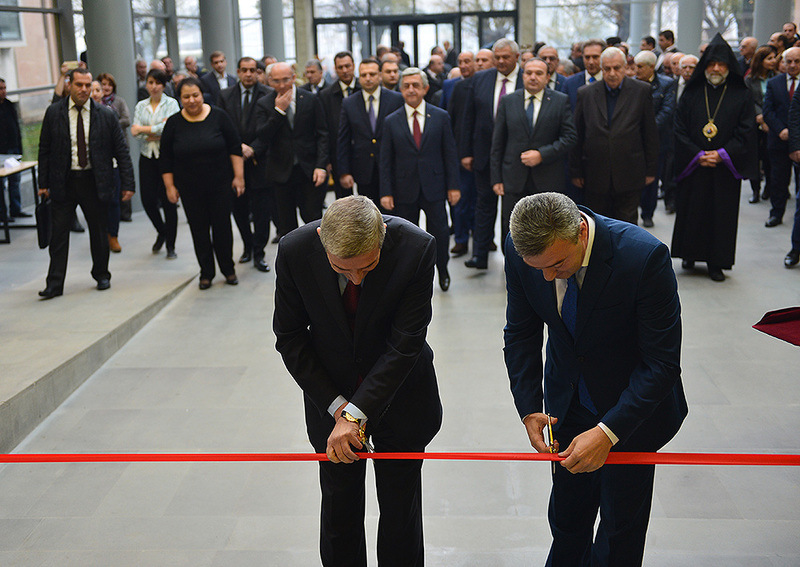 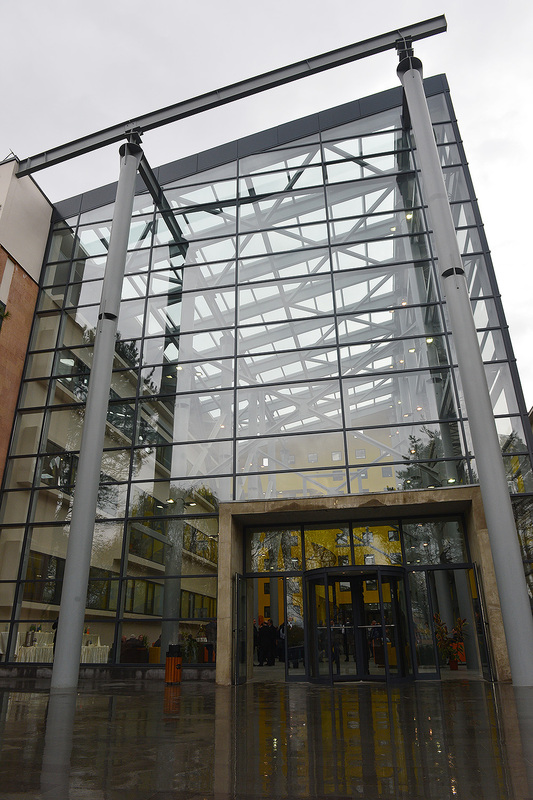 The main building of the complex is constructed by the RA Government’s State Committee on Urban Development. 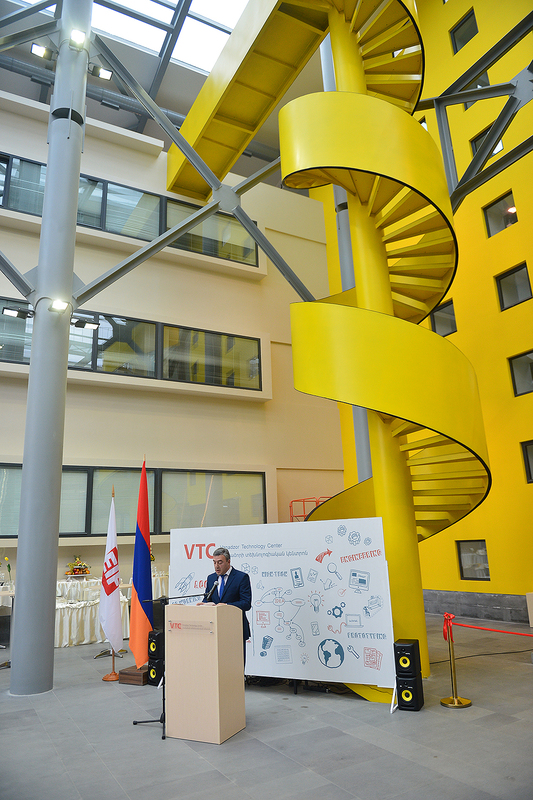 Medical equipment and furniture for the unit will be purchased in the framework of the World Bank grant program. 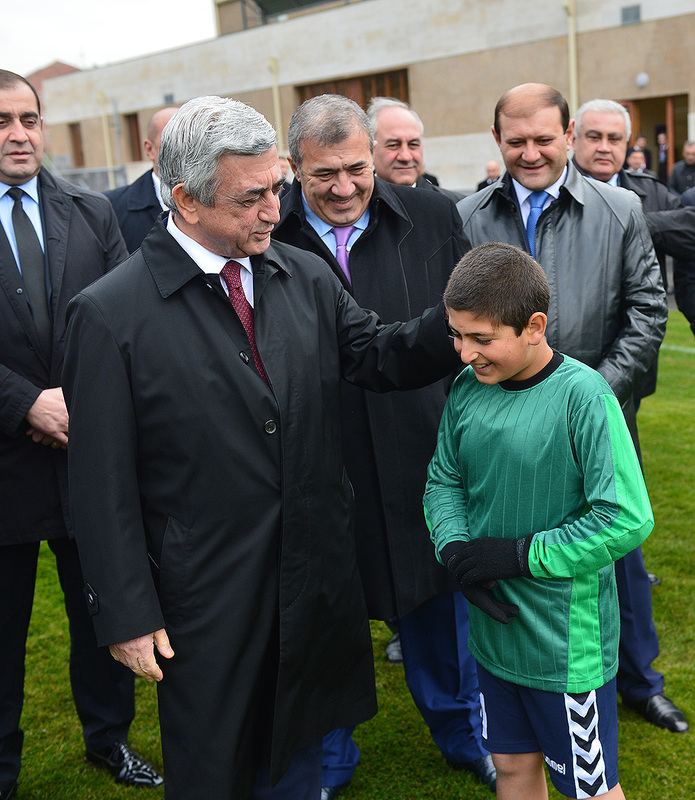 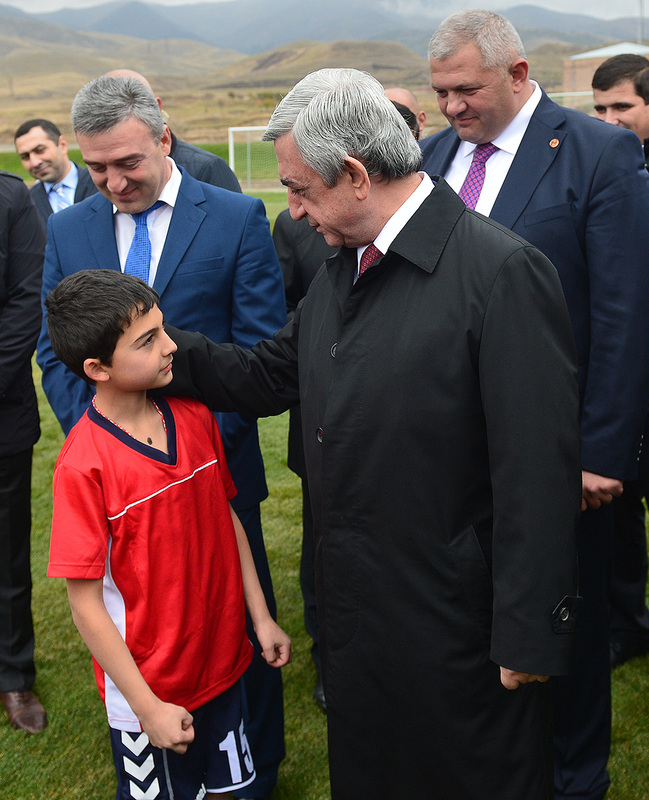 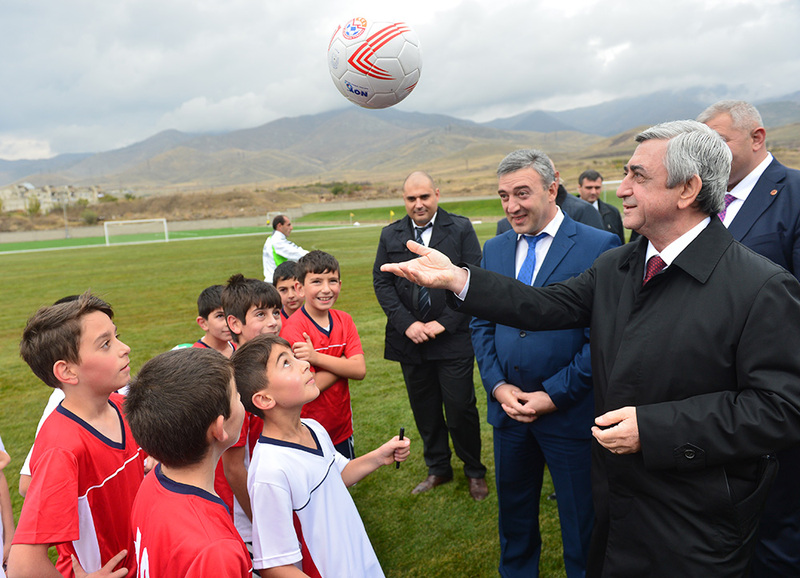 In Vanadzor, President Sargsyan attended also the ceremony of inauguration of the Football Academy. 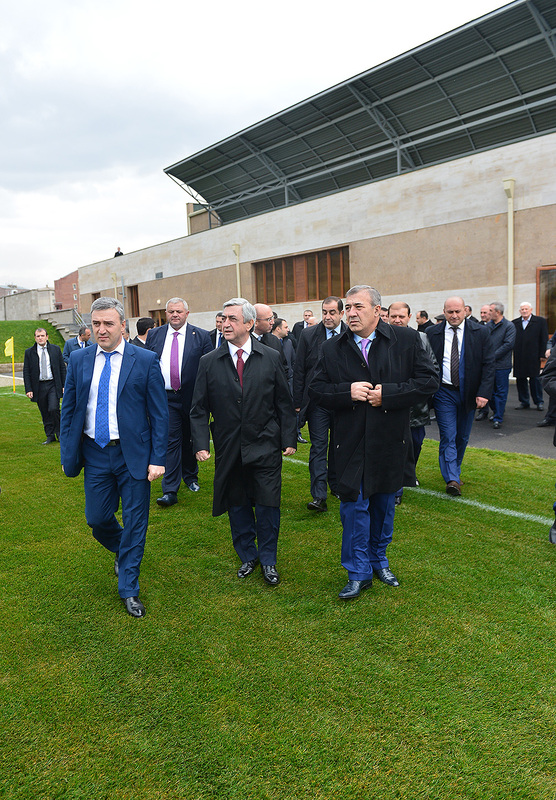 Construction of the Football Academy is a joint investment project carried out by the Football Federation of Armenia and European Football Association. 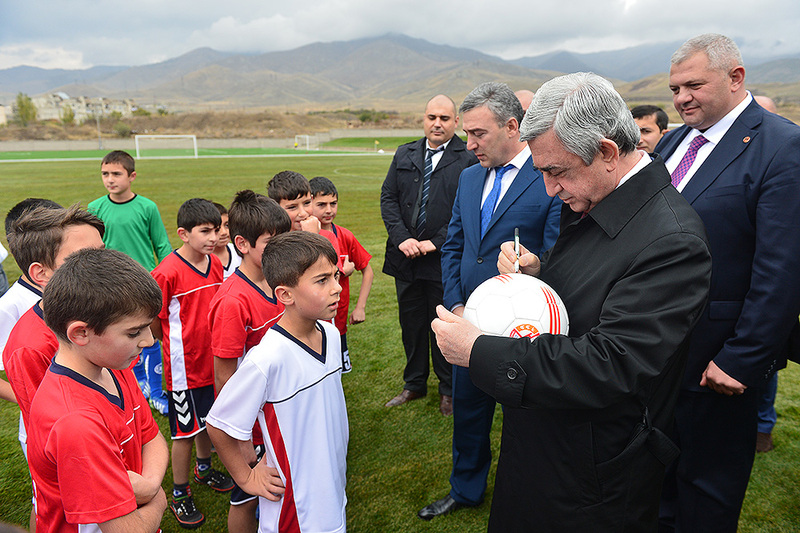 In the framework of the Armenian football development strategy, in 2010-2014 constructed were the Technical center and academy of the Armenian Football Federation in Yerevan and football academy in Gyumri; the Armenian Football Federation has also initiated the construction of football academies in Vanadzor, Etchmiadzin and Armavir ( the construction of the last two has already started). 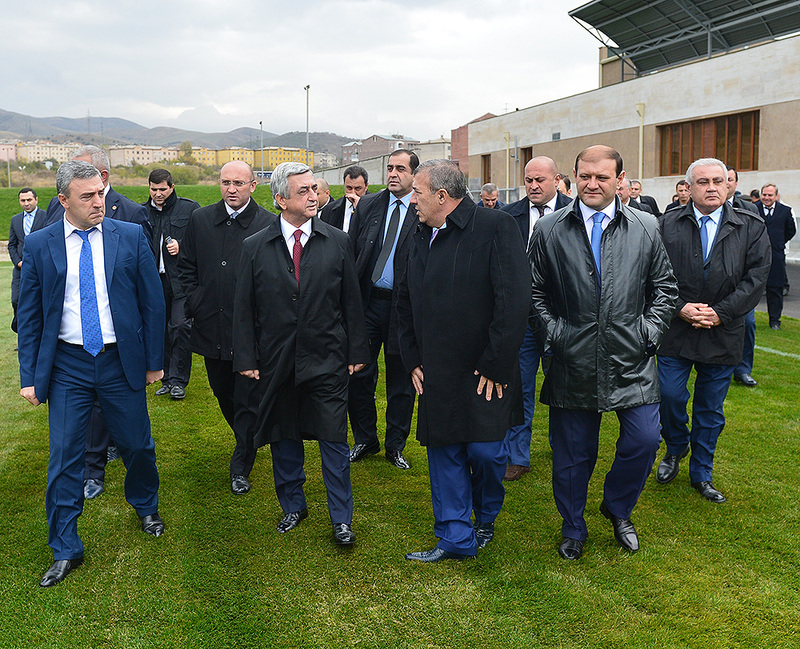 During the tour at the Vanadzor Football Academy, the President was familiarized with the infrastructure created at the three-story building of the Academy which covers the territory of 12602 meters and comprises furnished rooms for instructors, lockers, shower rooms, the auditorium, the medical room, the administrative section and other conveniences as well as 1 field with artificial cover and 3 fields with natural grass which correspond to the standards adopted by FIFA and UEFA for professional football. 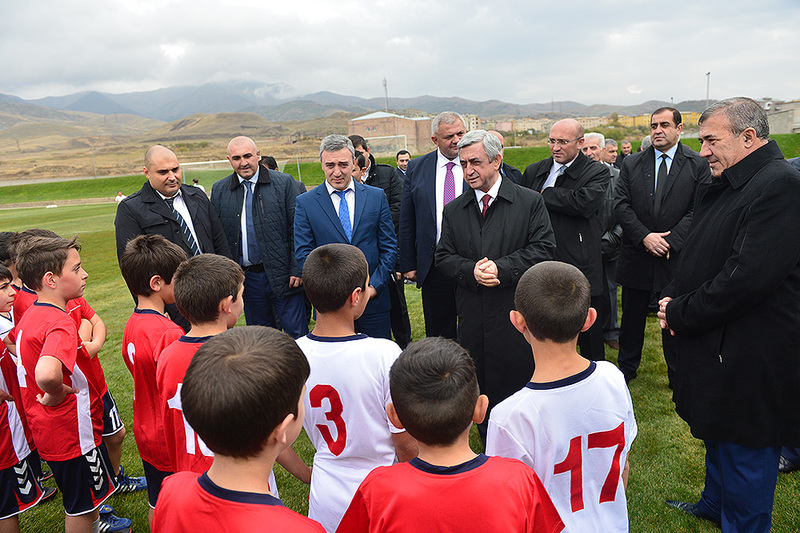 According to the officials, the Vanadzor Football Academy can train simultaneously up to 600 boys and girls. 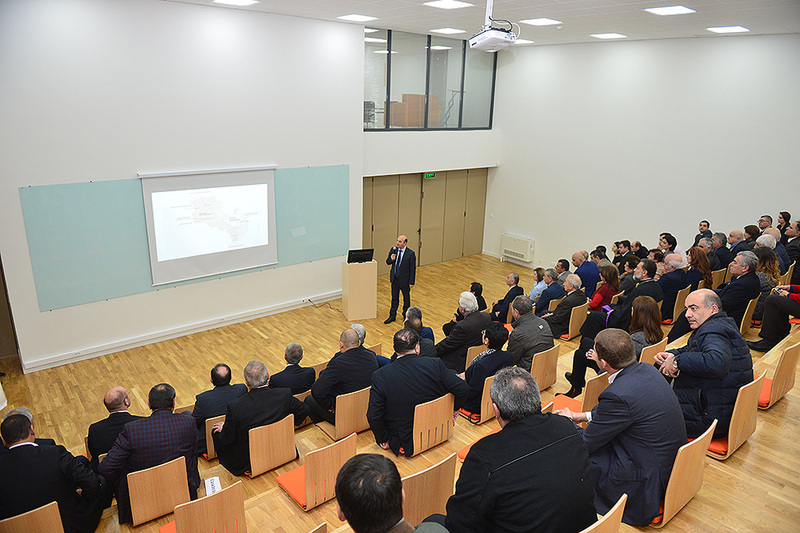 Local professionals will participate at the educational classes for instructors. 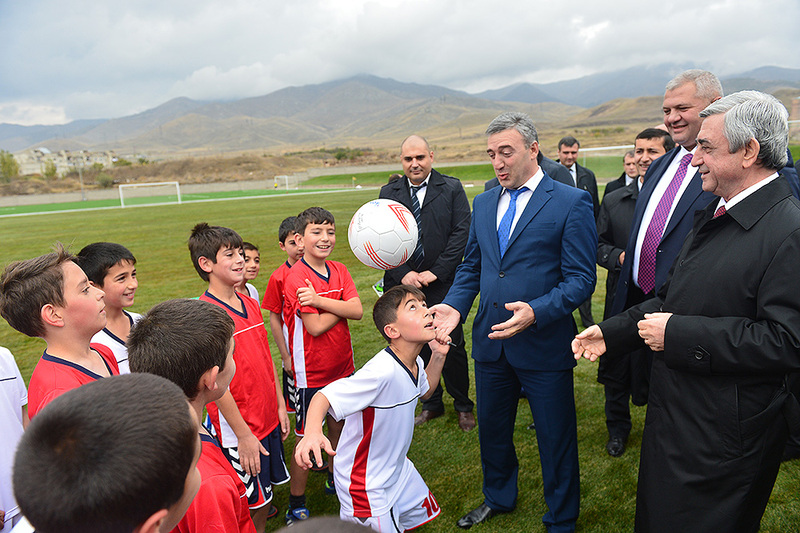 Properly retrained and licensed coaches will have the opportunity to work at the Academy. 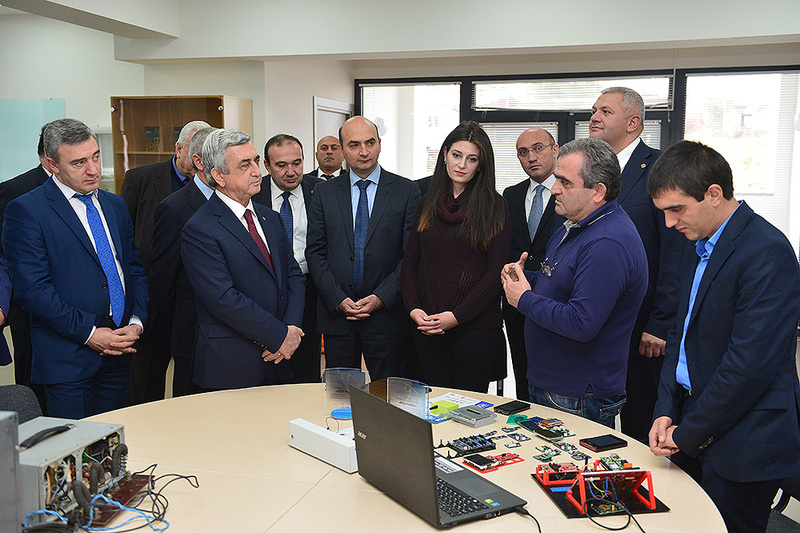 All this will create over 40 new jobs, with the average monthly salary of 130,000-150,000 AMD.